Sydney, 9 August 2018 – At a contract signing and soil turning ceremony this morning, Greenland Australia and their joint venture partner, GH Australia, officially appointed Richard Crookes Constructions as their construction partner for Stage 1 of ‘Park Sydney’ in Erskineville, in Sydney’s inner-west. Encompassing 6.9 hectares, the masterplanned residential community will be one of the largest urban renewal projects in Sydney and will ultimately feature nine development blocks ranging in height from two to eight storeys. The masterplan Development Application (DA) approved on 3 March 2017 is expected to result in approximately 1,400 apartments built over five stages. Park Sydney will also feature a 7,446sqm public park (McPherson Park), and major retail amenity including a full-range supermarket and specialty shops. The construction DA for Stage 1, approved by the City of Sydney in February 2018, includes circa 330 apartments across two buildings, a fresh food precinct, eat street, medical centre and a childcare centre. Greenland Australia’s Managing Director, Sherwood Luo, said he was excited to see construction commencing on such a landmark project. “It’s great to see projects like this coming to life – together with GH Australia, we’ve been planning Park Sydney since 2016 so it’s particularly exciting to see major projects of this scale starting to take shape and watching how they transform the local area,” said Mr Luo. “We are converting this large former industrial precinct into an engaging and inclusive residential community that will ultimately become home to some 3000 residents. Mr Luo added that the choice of Richard Crookes Constructions will be vital in helping Greenland Australia deliver Park Sydney‘s first stage. “In regards to our construction partner, we needed a builder with great experience in mid-rise residential and Richards Crookes Constructions was the obvious choice,” he confirmed. “They’ve delivered an impressive portfolio of projects, including several of our own, such as Leichhardt Green and Lucent North Sydney. Jamie Crookes, Richard Crookes Constructions’ Managing Director, said the company was happy to be appointed on such an iconic project. “Park Sydney will be a major addition to our portfolio, and we’re really pleased to be delivering Stage 1 of this major urban renewal project,” he explained. 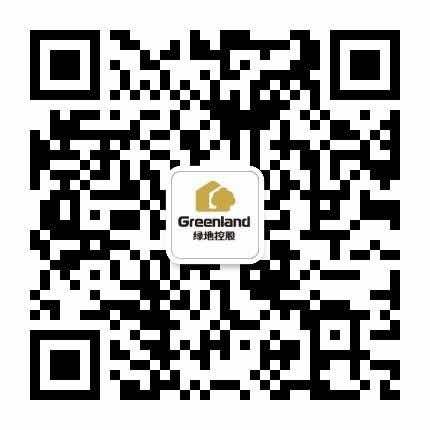 “We’ve enjoyed the journey of working with Greenland Australia in the past and pride ourselves on repeat work from our clients. Registrations of interest are open for Park Sydney by calling 1800 388 788 or visiting www.parksydney.com. For media enquiries, please contact Megan Skippen at Greenland Australia on +61 8262 1400 or [email protected]au.